BJCORP forming symmetrical triangle pattern. Immediate resistance @ RM0.405 level. 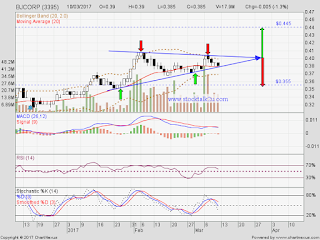 If break up, potential retest RM0.445 level. 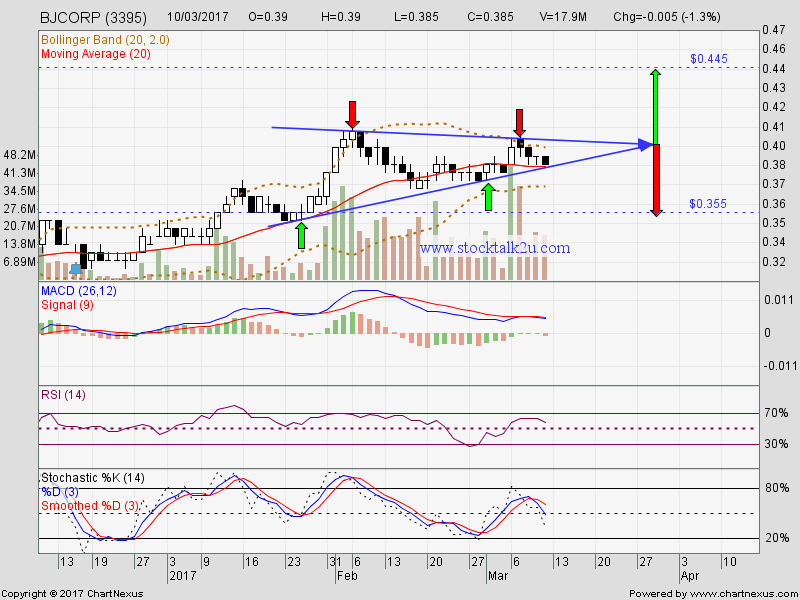 If break down, potential retest RM0.355 level. Most likely it will choose direction on upcoming quarter result. According pass history, the quarter result will be released on final week of March.